Diploma of Children’s Health, National Certificate of Reproductive and Sexual Health. 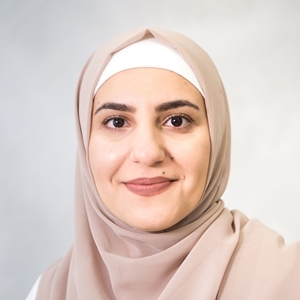 Dr Sara Al Samail is the local partner and principal general practitioner at Myhealth Blacktown. She obtained a Bachelor of Medicine and Surgery from Western Sydney University in 2013. She then undertook her internship and residency at Bankstown-Lidcombe Hospital and went on to pursue a career in General Practice. After further training, she obtained a Fellowship in General Practice in 2018 and is now a member of the Royal Australian College of General Practitioners. She has practiced in Western Sydney since graduating and strives to give back to the community. Dr Sara is dedicated to a professional life of medical excellence for her patients. She is a firm believer in practicing holistic medicine, and has garnered a reputation as a doctor who truly commits her time in order to provide the best possible care. Her special interests include women’s health, sexual and reproductive health, paediatrics and chronic disease management. She is a registered antenatal care provider and caters for complex contraceptive needs such as IUD insertions. Dr Sara is committed to ongoing self development. She ensures her skills and knowledge are up to date by attending regular educational courses and supervising training GPs in her current practice. She is currently in the process of obtaining a Diploma of Children’s Health and a National Certificate in Reproductive and Sexual Health.